How can I maximize my workers’ compensation claim? How to File a Workers’ Compensation Claim in Georgia If you have a workers’ compensation claim, you may want to know how to file the claim and what the process is like. Watch this video to learn more. Workers’ compensation benefits provide a vital safety net for employees who’ve been injured on the job. However, it’s crucial that you actively advocate for your right to a fair settlement. Even if you’re only mildly uncomfortable, report your accident as soon as it happens. It’s quite possible that your initial discomfort may turn into something more serious. If this happens and your employer has no record of your accident, they will likely argue that you were hurt outside of the workplace. When it comes to your workers’ compensation benefits, a “wait and see” approach should be avoided at all costs. Many employers have internal deadlines regarding accident reporting, with some being as short as 24 hours. Georgia law requires that the report must be made within 30 days of the event. When you report your injury, provide as many details as you can regarding the circumstances of the accident. Ask any coworkers who saw the incident to verify that your account is accurate. Once you’ve reported your injury, keep detailed records regarding the progress of your claim. Ask for copies of medical exams and test results as well as any other expenses you’ve incurred as the result of your injuries. Keep an appointment log noting the date, time, and name of every contact person you speak to regarding your case. Lining up witnesses to testify on your behalf can also be useful in boosting your compensation. For example, you might ask friends or family members to provide statements regarding the effect your injuries have had on your daily activities. Refusing to follow your doctor’s recommendations regarding your medical care may result in your benefits being denied. You’re within your rights to ask for information regarding treatment side effects and any potential risk, but skipping appointments altogether will send the message that you’re not fully invested in your recovery. Listening to your doctor also means following any recommendations regarding what activities you can and can’t do. If you’re not supposed to be lifting anything heavier than 25 pounds, don’t decide to use your time off work to landscape your front lawn. Many insurance companies will use private investigators to verify that you’re being truthful about your injuries, so being seen engaged in unauthorized physical activity will severely damage your case. An insurance adjuster's job is to make decisions that are best for the insurer's bottom line. He doesn’t care if you need a settlement to help pay your mortgage or student loans. The first offer you receive will likely be much less than what your claim is truly worth. Negotiating for the compensation you deserve is a must. 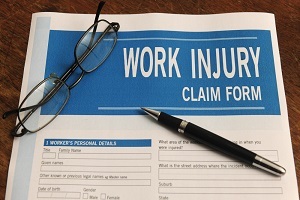 One common mistake that injured workers make is assuming that a denied claim is final. A large number of claims are initially denied, but an experienced workers' compensation attorney can turn that denial into a settlement on your behalf. Don't give up if your claim is denied. Instead, you should immediately contact an attorney for a consultation. It’s difficult to be objective about your claim when you’re focusing on recovering from your injuries and worried about how to pay your bills. Our skilled workers’ compensation attorneys can help prepare your case and advocate for the highest settlement available. Your permanent partial disability rating. Your attorney can also investigate the possibility of third-party claims. If another party’s negligence caused or contributed to your injury, this can substantially increase your compensation. For example, you may be eligible to pursue a personal injury claim against the manufacturer of faulty equipment or the driver of another vehicle that caused your work-related accident. Rechtman & Spevak is dedicated to helping Georgia residents receive fair and timely workers’ compensation settlements. Please call 404-355-2688 or fill out our online contact form to get started with a free, no-obligation consultation.